D­­onald J. Carter, 86, of Gainesville, Georgia, passed away quietly on February 7th, 2019. A Gainesville resident for over 70 years, Don loved his community, his family, and his friends. One of his favorite quotes was “the greatest use of a life is to spend it on something that will outlast it” (William James). This was a guiding principle of his life. Don was preceded in death by his parents, Nola and Jewell Carter, brother Dan Carter, daughter Carol Lane Carter and grandson Shaw Carter. He is survived by his devoted wife of 65 years Lucile Fortuna Carter and his children: Dee Ann Benton (David), Steve Carter and Doug Carter (Sandy), all of Gainesville; his grandchildren Laura Lane Louie (Thomas) of Greenville, SC, Mark Benton (Lindsey) of Ann Arbor, MI, and Lauren Carter of Los Angeles, CA; and four great grandchildren, Ann Carter Louie, Camille Louie, Emmie Benton, and Kate Benton. Born in Detroit, Michigan in 1932, Don’s parents returned south when he was two years old. He always claimed the hills of North Georgia as his true heritage. Don’s family moved from Buford to Talmo and then to Gainesville where he graduated from Gainesville High School and played on the football and baseball teams. Don attended North Georgia College and then transferred to Mercer University where he graduated in 1954 with a degree in Economics. While at Mercer, Don played on the baseball team, and he was a member of Sigma Nu Fraternity. It was at Mercer that Don and Lucile began their love story. 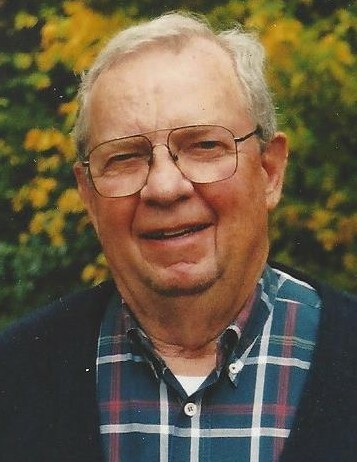 Don served in the U.S. Army Corps of Engineers from 1954 to 1956 as a First Lieutenant. When he returned to Gainesville, Don and his uncle Jess Murphy formed, Murphy and Carter Poultry Company. After a decade in the poultry business, Don’s professional life took a different direction with the formation of Don Carter Realty, a company that focuses on the development and brokerage of property throughout North Georgia. During Don’s fifty-year career in real estate, he developed numerous projects including Skylake, Sherwood Professional Park, Candler Square, the former Gainesville Bank & Trust headquarters, and the subdivisions of Holiday Heights, Northwoods, Quillians Corner, and Walnut Bend. Don loved hunting and fishing, his farms in Hiawassee and Wilkes County, his hunting club, his friends at The Coffee Shop and Longstreet Café, a friendly and sometimes competitive game of poker, and the restoration of hand-hewn log cabins. Don Carter tried to make a difference in the lives of others. He served as President of the Gainesville Area Chamber of Commerce in 1966, was elected to the Board of Directors of Gainesville National Bank in 1967, was on the Advisory Board of First Atlanta Bank, and was a Gainesville City Commissioner from 1967-1970. Don was member of the Georgia Conservancy, Rotary, the Elks Club, the American Legion, the Angler’s Sunday School Class, First Baptist Church of Gainesville, and a board member of the North Georgia Children’s Center. He was also Chairman of the Gainesville Redevelopment Authority, a Past President of the Chattahoochee Country Club, and a founding member of Gainesville Bank & Trust. In 1967, Don was honored to be selected the Young Man of the Year by the Gainesville Jaycees, and in 2011 he received the Jaycees Lifetime Achievement Award. Perhaps Don’s greatest contributions came from his love of preserving the natural resources of the State of Georgia, in particular the barrier islands of our coast. He was appointed to the Department of Natural Resources Board in 1973 by Governor Jimmy Carter, and was later reappointed by Governor George Busbee, Governor Joe Frank Harris and Governor Zell Miller. He chaired DNR in 1977, served for ten years as chair of the Land Acquisition Committee, and he was appointed by Governor Miller to Chair the Preservation 2000 Committee. This committee purchased over 300,000 acres of land for park and wildlife management areas. He also served for seven years as Chairman of the North Georgia Mountain Authority that oversees Brasstown Valley, Smithgall Woods, Amicolola, Unicoi, Red Top Mountain and Veterans State Parks. Don was recognized with awards related to his conservation efforts including Governor Harris’ Award for Excellence in Land Conservation Stewardship, Recipient of the Conservationist of the Year Award in 1996 from the Georgia Wildlife Federation, and received the National Recreation & Park Association Award known as the Robert Artz Citizens Volunteer Award. In 2002, Don was honored when the State of Georgia designated a 1300-acre tract of land on Lake Lanier as a future state park. Through the support of Governor Sonny Perdue, and so many others, Don Carter State Park was developed and provides every member of our community and visitors from around the world with the opportunity to enjoy the extraordinary beauty of Lake Lanier. Don Carter’s life truly did “outlast the individual,” because his was a life filled with family, friends, and community. The Carter family will host a reception in Don’s memory at the Quinlan Visual Arts Center, 514 Green Street, Gainesville, on February 12th, 5:00pm to 7:00pm. A memorial service will be held at Gainesville First United Methodist Church at 2:00pm on Wednesday, February 13th with a reception following the service. The burial will be a private service at a later date. In lieu of flowers, the family requests that donations be made in support of family friend David Carmon who is paralyzed and in a brave fight to recover from West Nile Virus (Checks made payable to Jessie Carmon, 751 Oakshire Court, Gainesville, Ga 30501) or Friends of Don Carter State Park (Checks made payable to Friends of Don Carter State Park, c/o Don Carter State Park 5000 N. Browning Bridge Road, Gainesville Ga. 30506). The Carter family would like to thank Liz Adams, Cathy Davis, Karen Barrett, Louise Brewer, Rhonda Cheshire, Keena Burt, Sandy Mallon, Kerry Nolan, Donna McNabb, and Christine Freeman for their compassionate care. The family extends very special thanks to the following for their love and devotion: Brenda Hulsey, Eloise Sheats, Dr. Bill Coates, and Lonice Barrett.